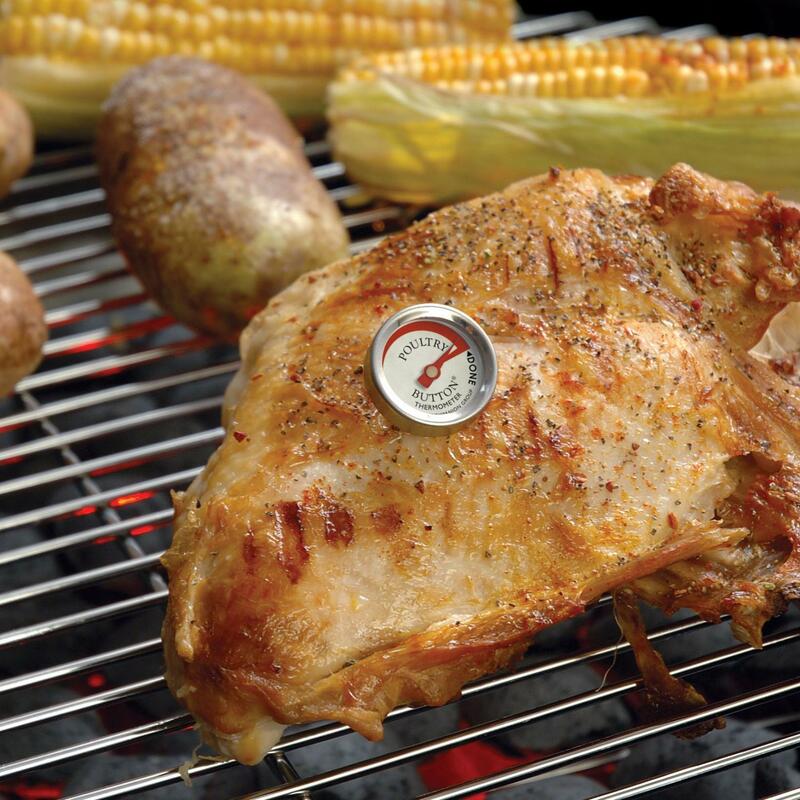 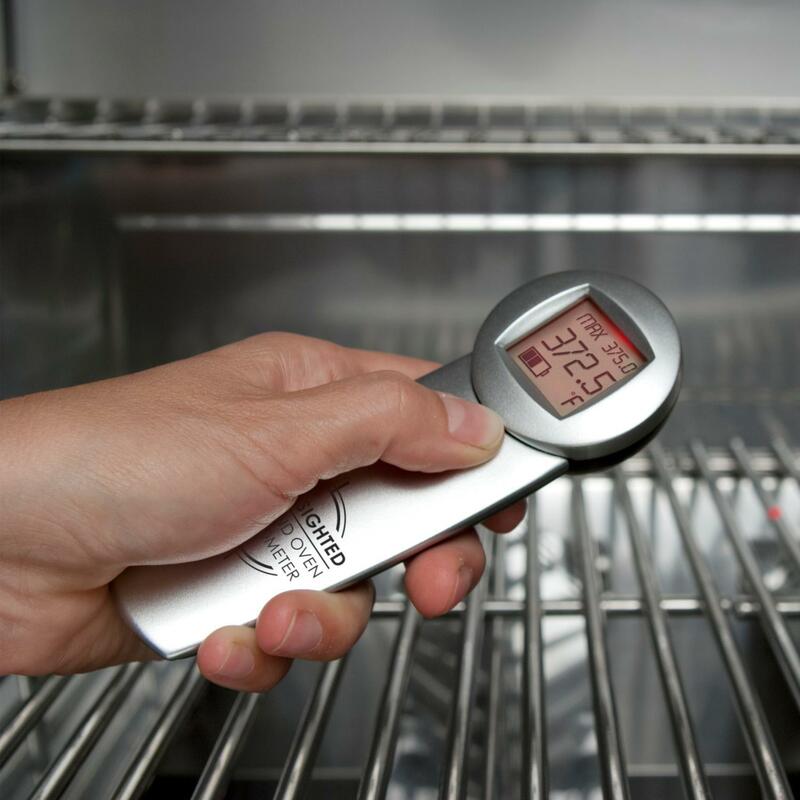 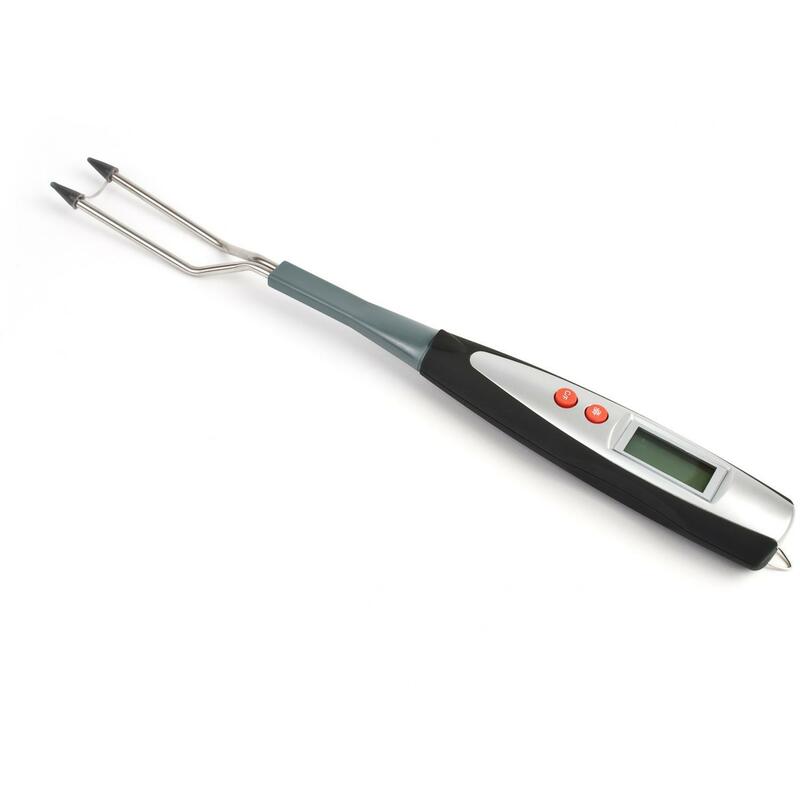 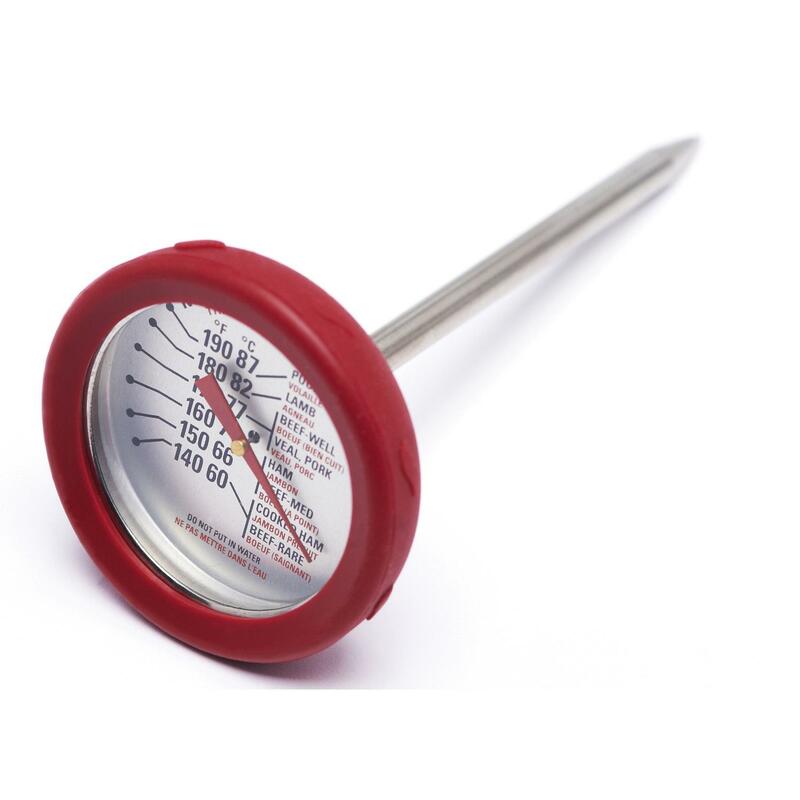 Product Description: 14-Inch Digital Fork BBQ Thermometer. 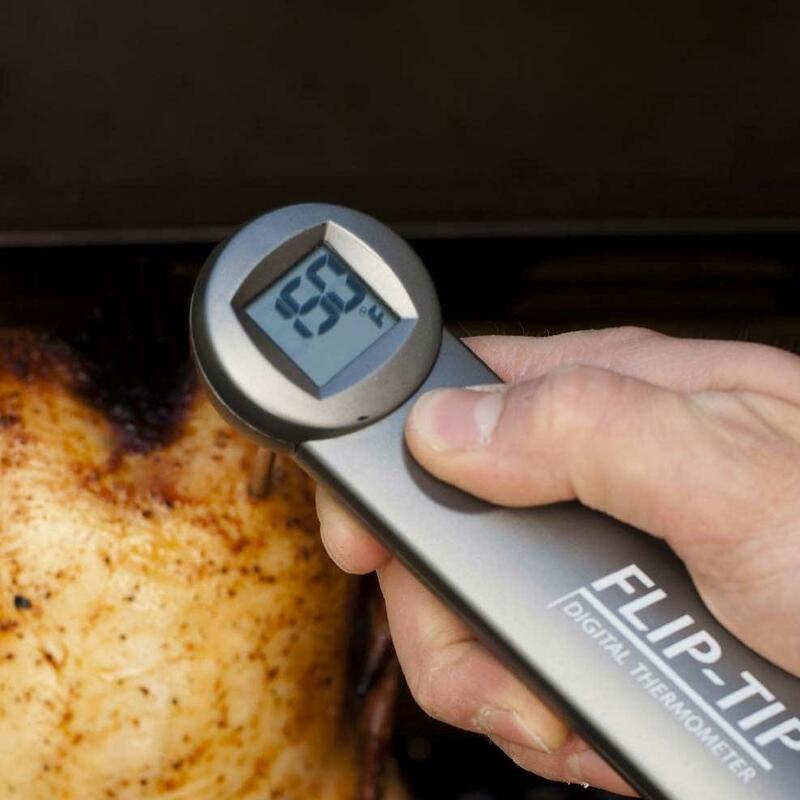 This LED BBQ fork & thermometer simplifies your grilling experience by allowing you to check the internal temperature of grilled meats with a commonly used BBQ tool. 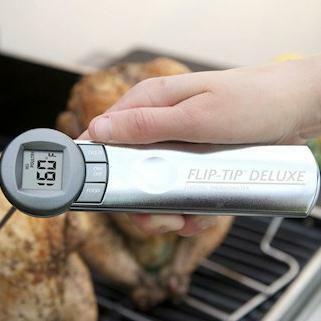 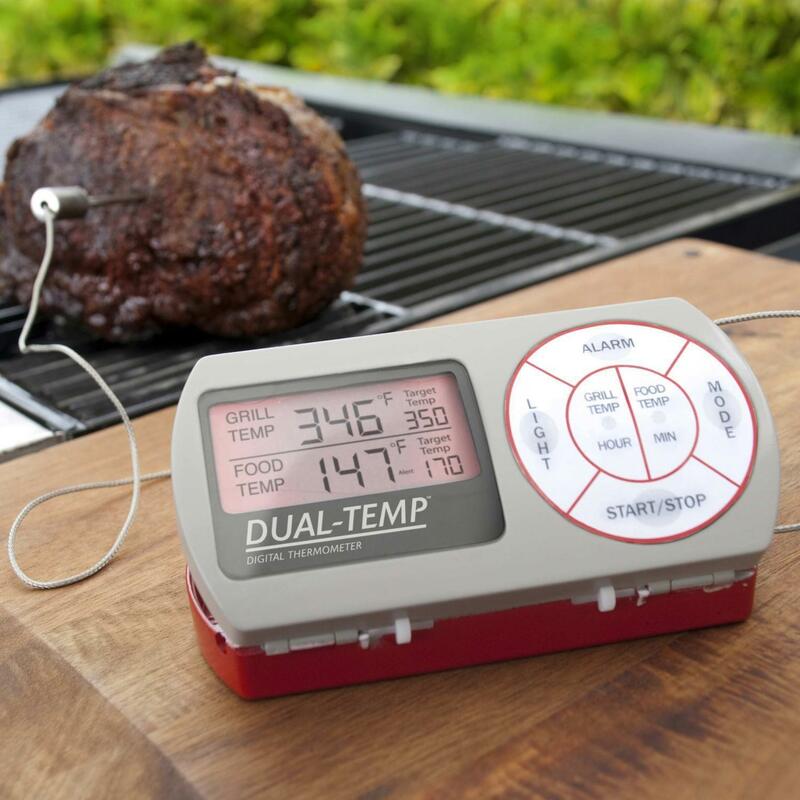 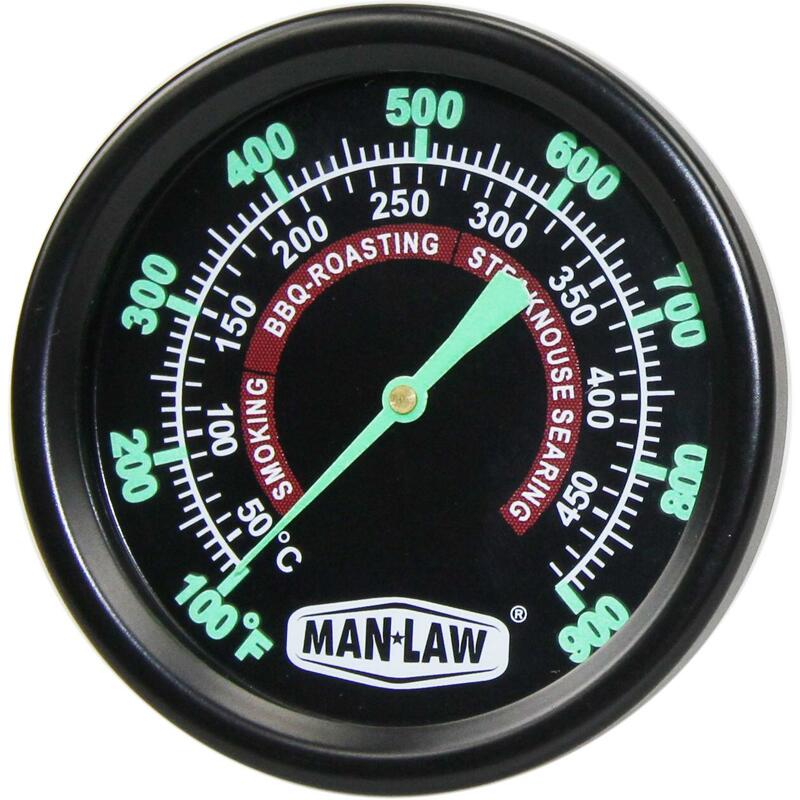 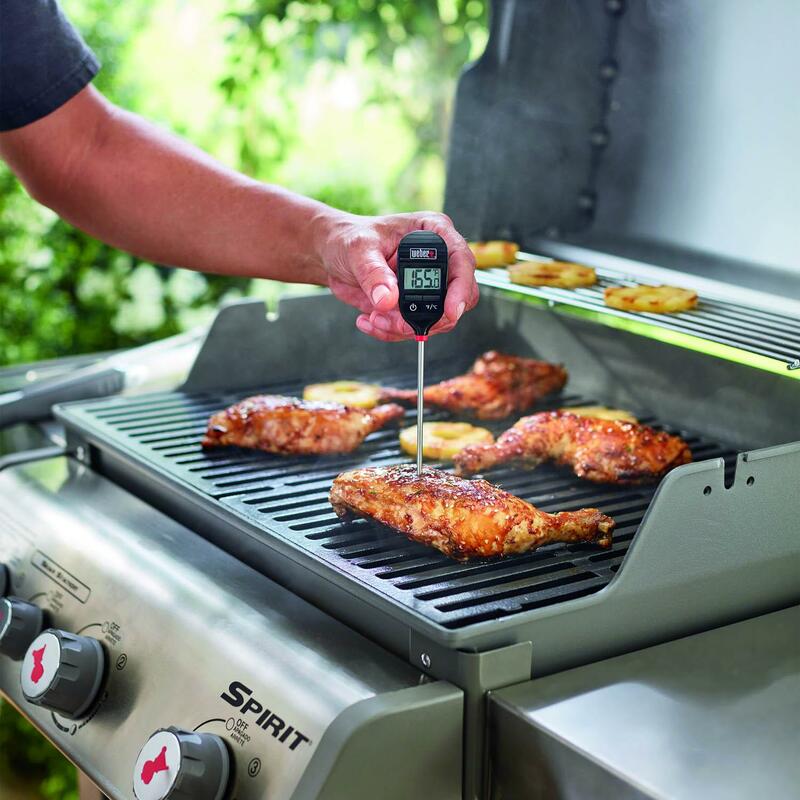 Get accurate temperature readings and maintain the best grilling conditions with this 2-in-1 tool. 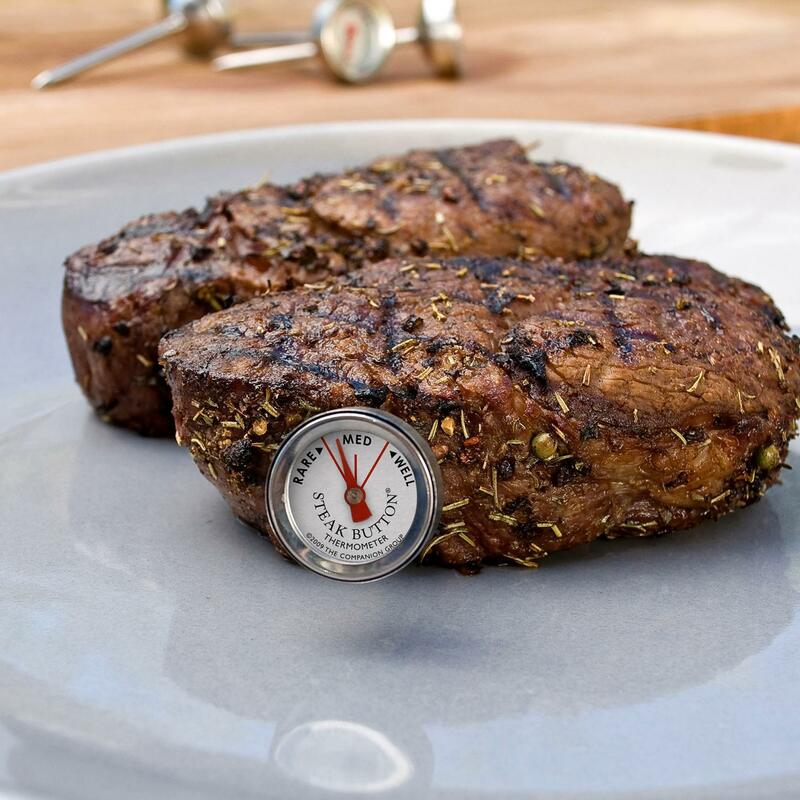 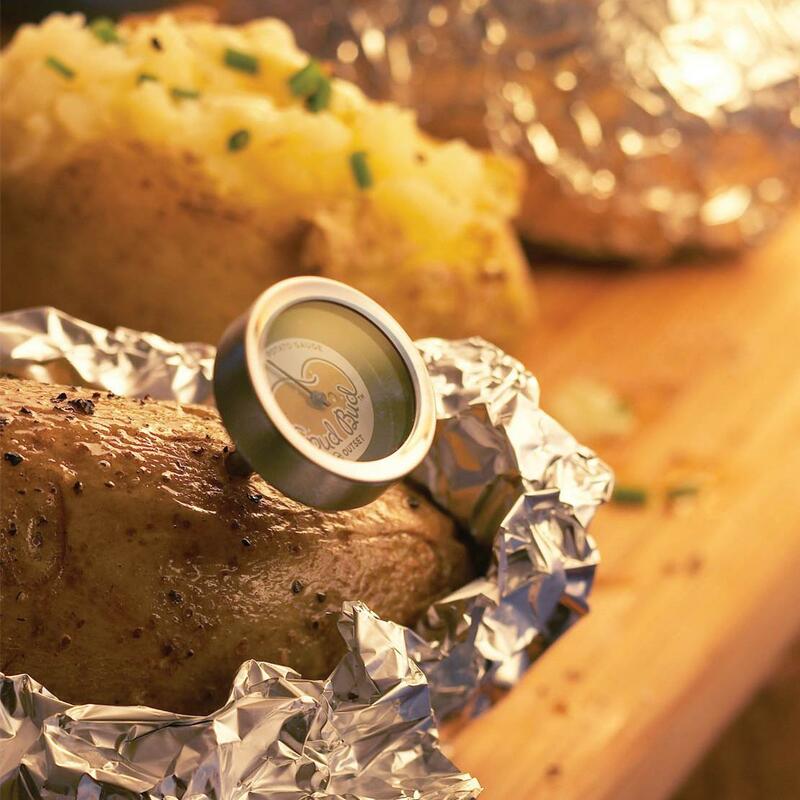 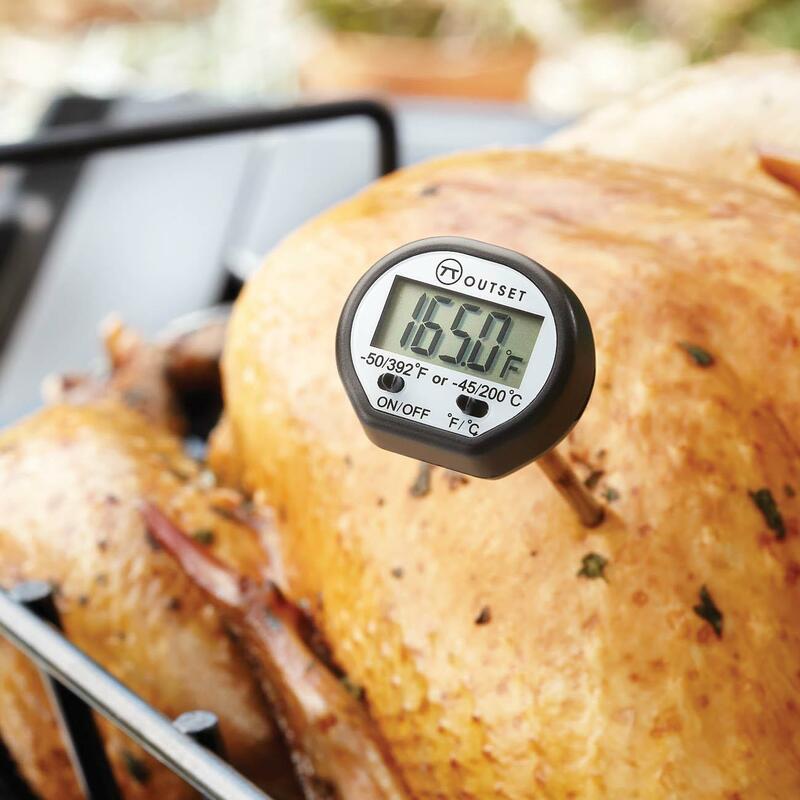 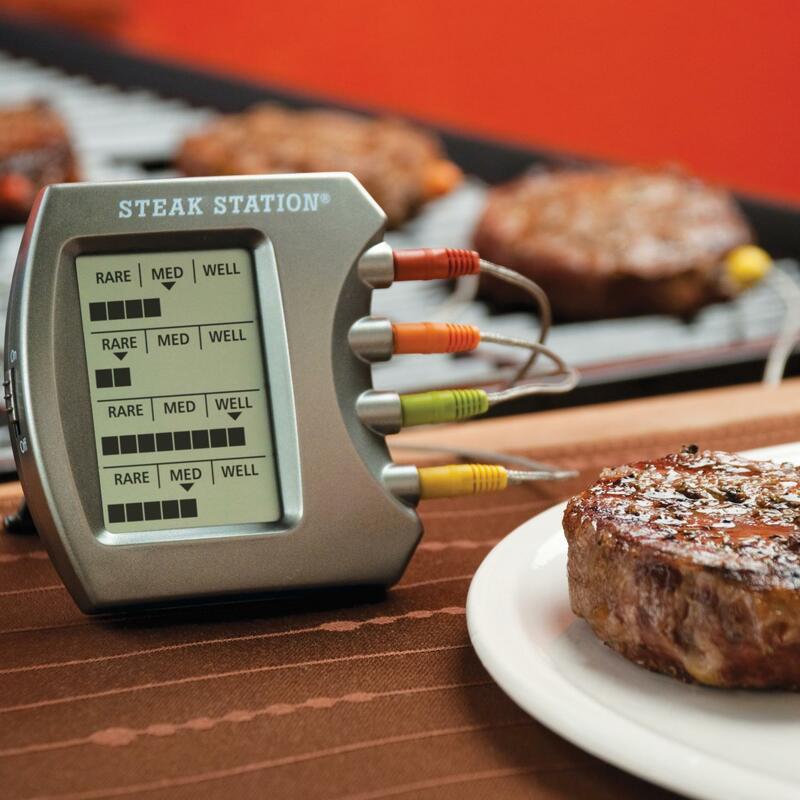 The instant-read thermometer produces readings so accurate, even thin meats are simple to cook. 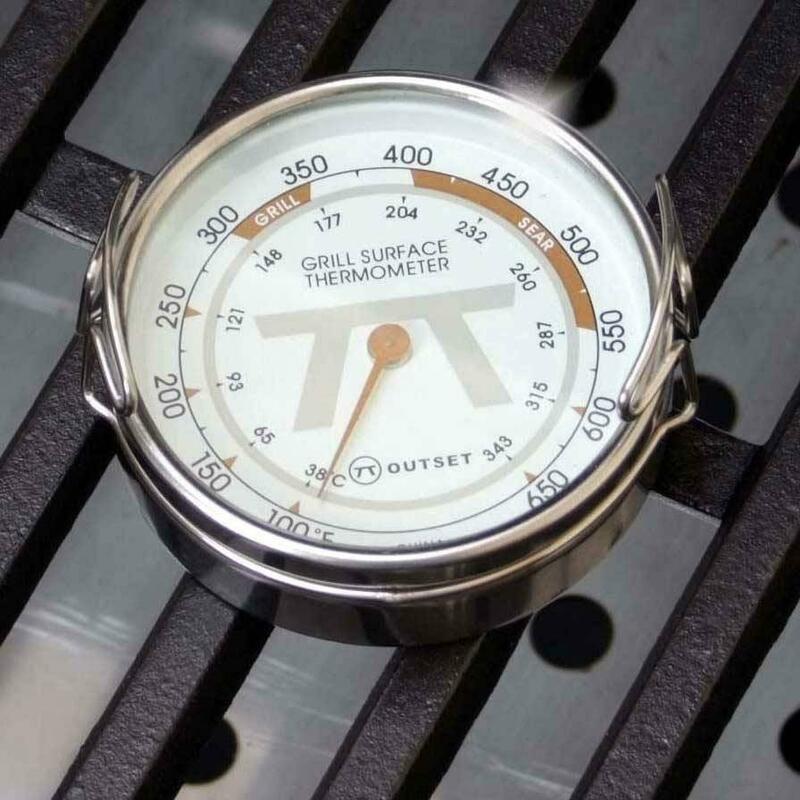 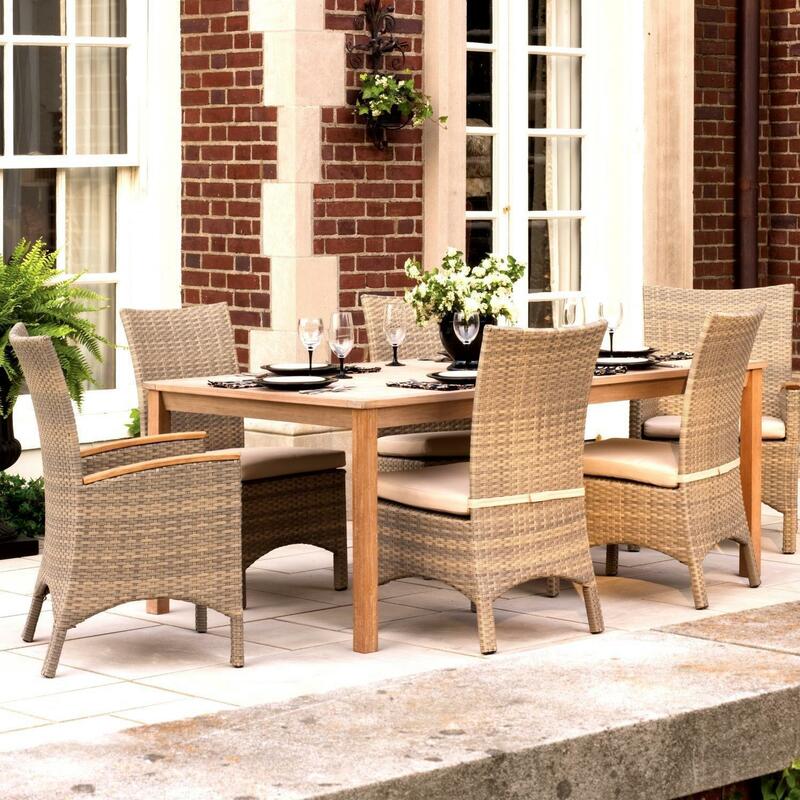 The versatile display shows Fahrenheit or Celsius.